Google Adsense is the most popular ad network. It is reliable and pays in time. As a blogger, most of the people want to earn via Adsense. But it is not a money tree. Only having Google AdSense account does not mean that you will earn a lot. I saw many webmasters having Google Adsense account and not having revenue more that few cents per day. So you need to work a lot to keep your revenue maximum while using Adsense account. If you want to increase Adsense revenue of your blog, you are at right place. In this post, I am going to write few tips to increase Adsense earning of your blog. This is the most important factor which affects earnings. If you do not have traffic, then you are not going to earn from your blog. If you want to earn better with your AdSense account, try to increase website’s traffic. Organic traffic is more profitable. So try to get better search engine ranking. Learn SEO and do proper keyword research for increasing traffic. More traffic means, more clicks and more earning. So you should try to increase organic traffic of your blog. I personally use SEMrush for keyword research and see what high CPC keywords are driving traffic to competitors. I also recommend that tool. Even if the tool is paid, you can get 10 daily searches with limited results. Here, another important thing is the traffic’s location. If you get more people visiting to your website from US, Canada or UK, you will see high CPC but traffic from India offers very low Adsense CPC. If you want to increase your revenue, focus on bring traffic from US, Canada or other countries where the currency is higher. most of the people now prefer mobile phones for web browsing. So, sidebar has become almost useless for them. If you put large ads there, it may not perform well. Header ads are also generally ignored by people. Because they quickly want to focus on content. So, putting ads around the main content is most beneficial. Put ads below the title, in between content and after the content. After the content, you should keep Link ads and Adsense matched content. After reading your content, people could look for more content. Matched content units show related posts along with ads. It increases the possibility of ads click. High paying keywords those for which CPC is high on Google Adwords. Google always pays 67% of earning it deducts from Advertisers. If advertisers are paying high for an advertisement, you will get higher earning. There are various keyword suggestion tools which can help you in finding high paying keywords related to your blog. You can try long tail keyword suggestion tools for better performance. I personally use SEMrush. It has an option for sorting keywords based on CPC. When you have the list of high paying keywords, you can try adding blog post in your blog with that keyword. On those posts, Google will see ads with high CPC. So, you will get more money on click. Google has recently introduced Auto ads with aim to offer better earning. Auto ads include Vignette Ads, Anchor Ads, In-article ads, In-feed ads and Matched Content. It automatically place these ads at best possible places. Google uses Artificial Intelligence to identify the best performing location and best performing ads. 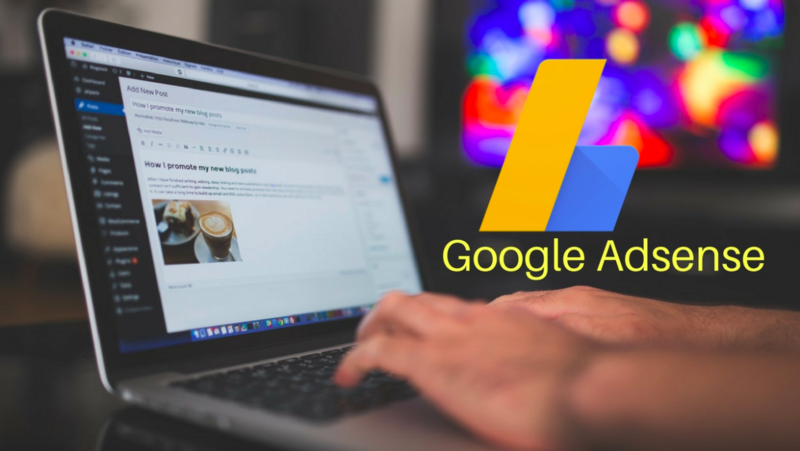 If you have not yet started using Google’s Auto ads, you should do it now. This is one thing that many people miss. When you create ads channel, it also allows you to add more details about your ad type and put it up for auction. If you do this, it increases the chance of commotion for your ads and will increase your CPC. You must enable this to your custom channels. To enable the placement targeting, go to your Adsense account > My ads > Content > Custom Channels. Google Adsense allows you to monetize your search by taking advantage of Adsense for Search. If your website has search function, you can use Adsense for search. It shows search results form your website with Google Ads. So, there is high chance of getting ads click than the regular search of your website. Also see: How to put ads on AMP Pages? Not all websites are same. So, monetising strategy or ads location cannot be applied to all. You need to experiment with ads type, ads sizes and ads location. Do experiments for a week with one set of ad type and location. The change it with other location ad type. Compare what performed well and then use the best performing set of experiment. Ezoic is a nice platform that automatically does the experiment with ads and your layout. In this way, it aims to boost your Adsense revenue. You can signup at Ezoic and see your revenue growth. Try these tips and then see the effect on your blog. It depends on the traffic and experiment you do on your blog. In few weeks, you will be able to Increase Adsense Revenue of your blog. If your blog is only dependent on Adsense, you should rethink. You must diversify the revenue sources. You can also start with affiliate marketing. It offers better income with the blog.